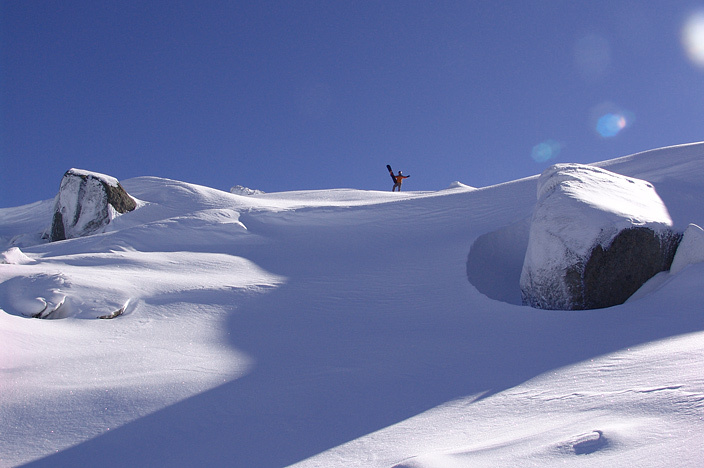 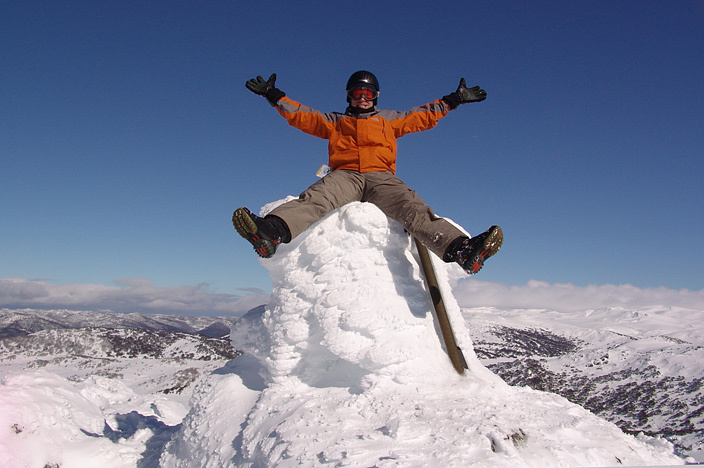 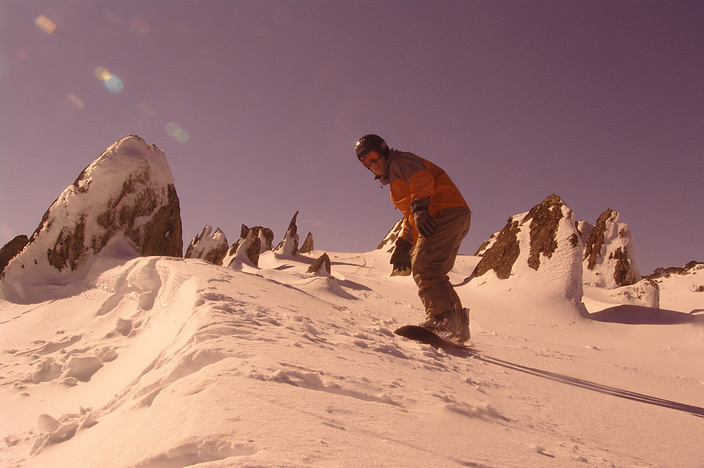 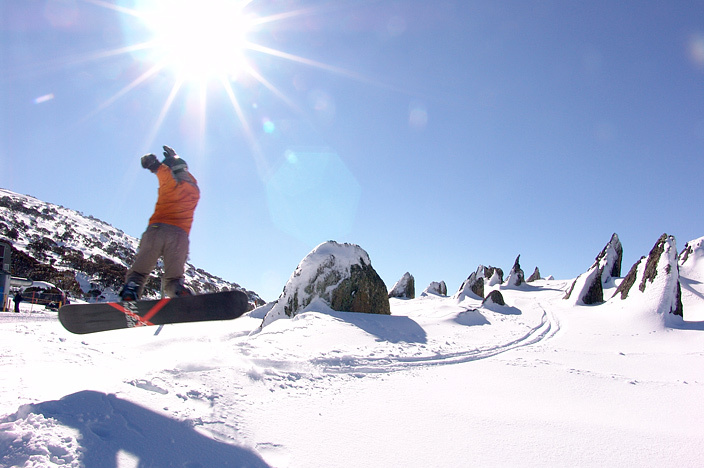 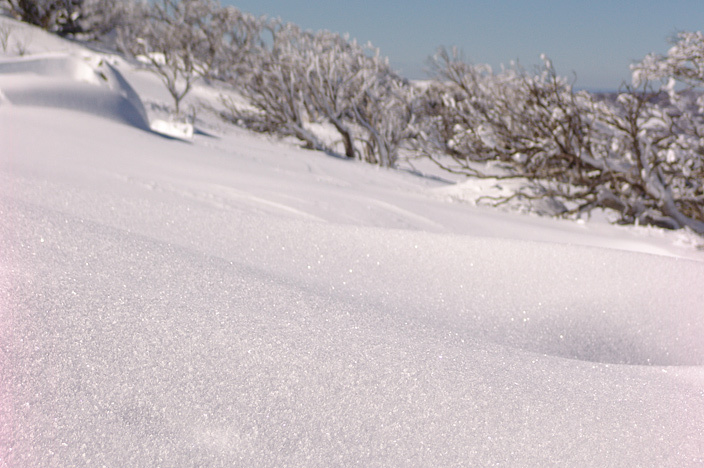 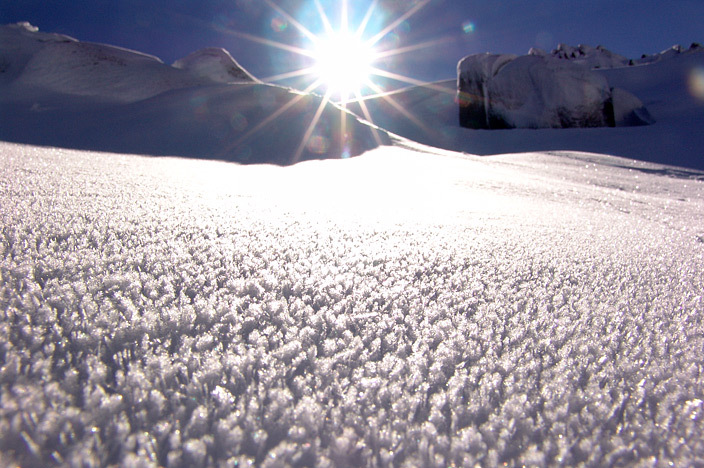 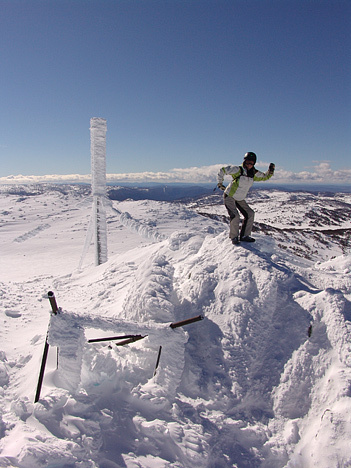 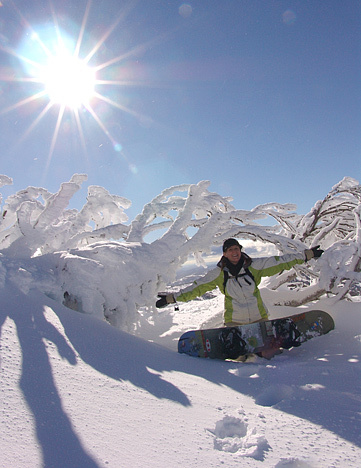 You'd be forgiven for thinking that there's no snow to be found in Australia, but we've discovered plenty! 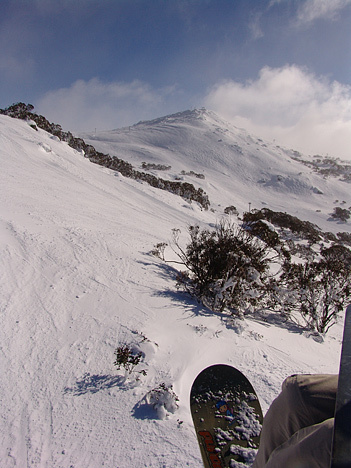 Having recently emigrated down under in July, we decided to make the most of the north/south hemisphere shift and go snowboarding on arrival. 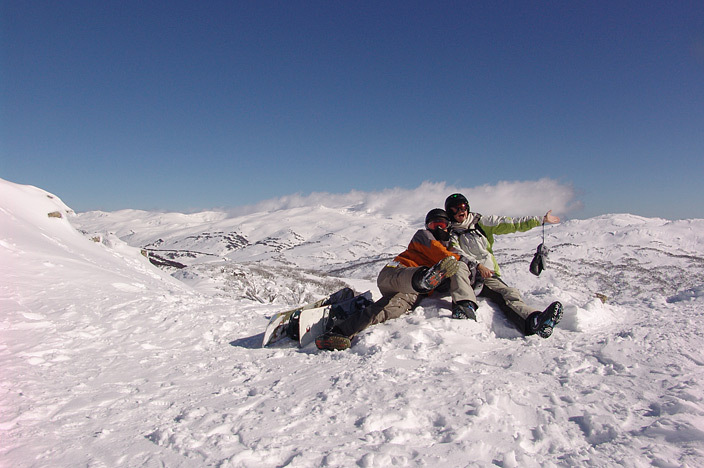 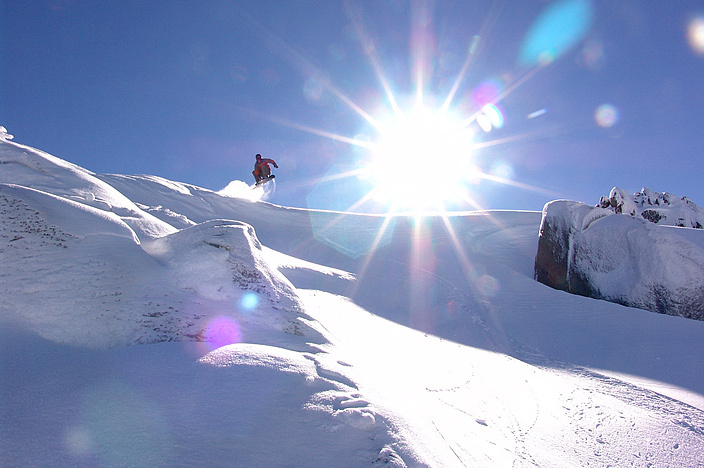 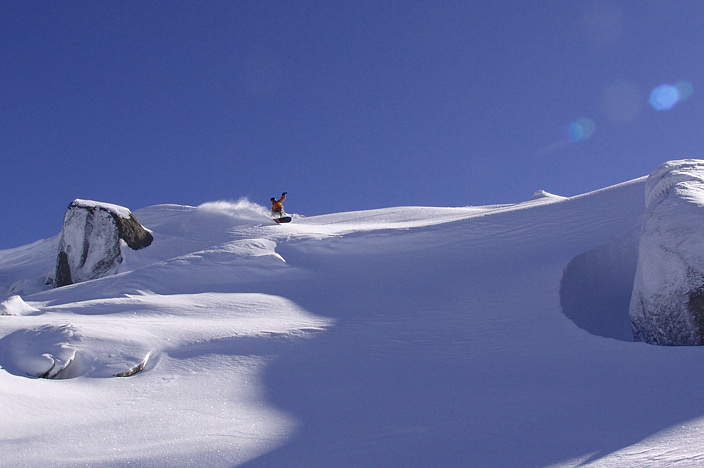 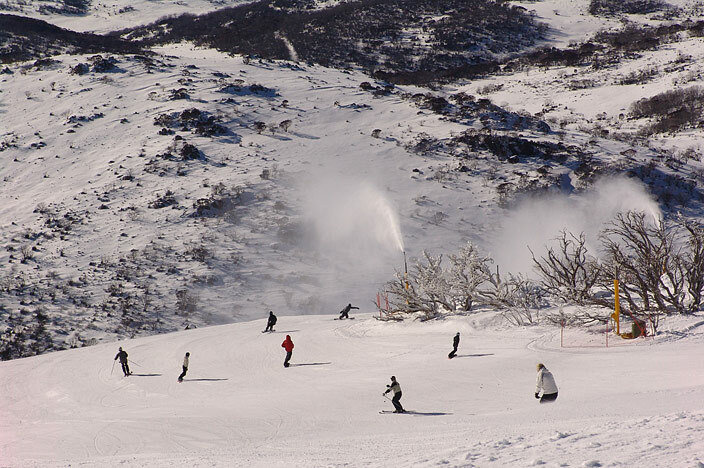 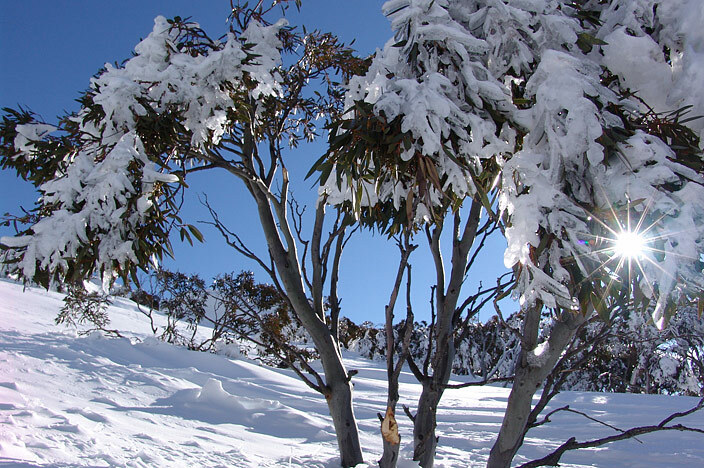 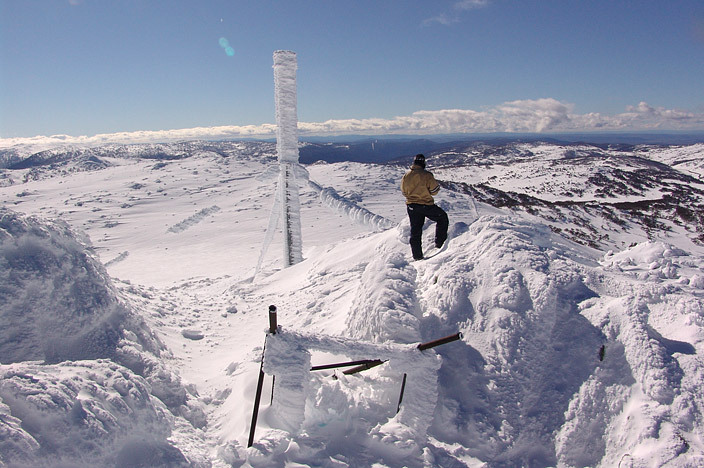 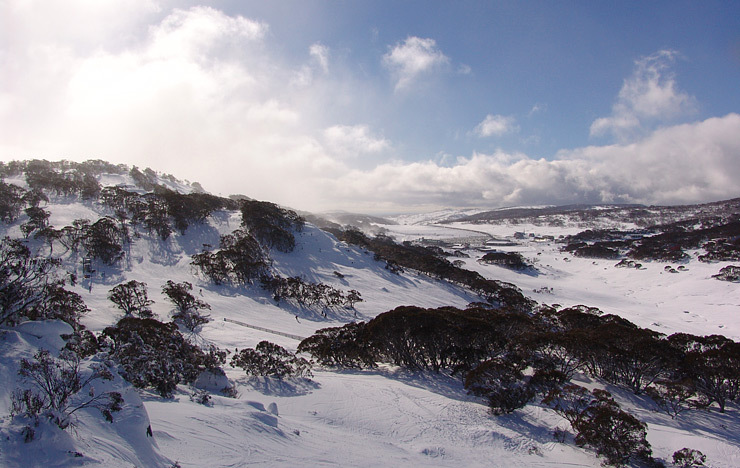 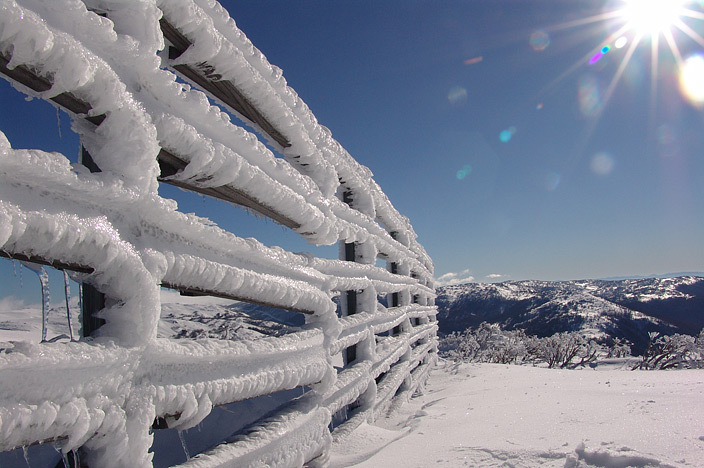 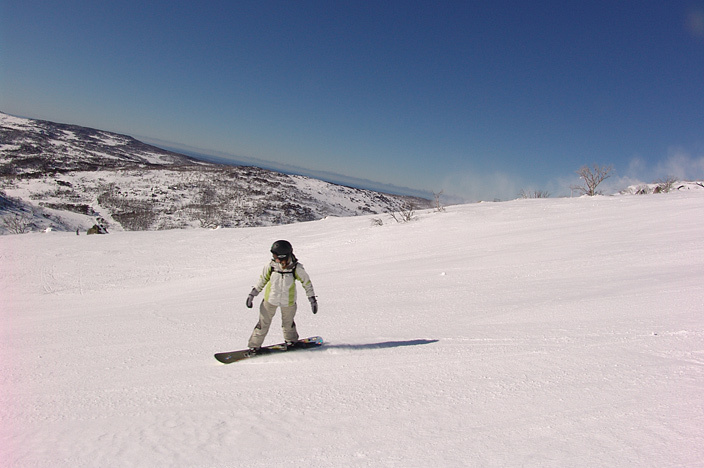 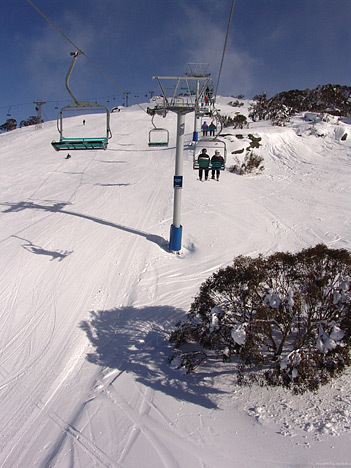 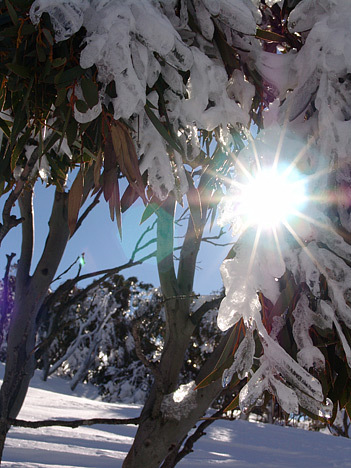 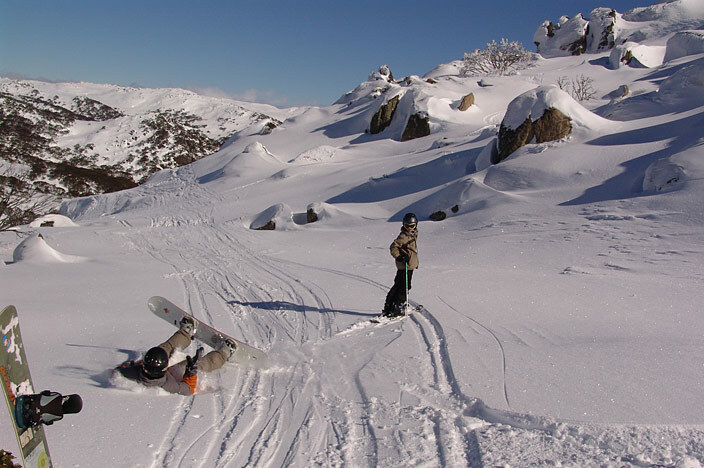 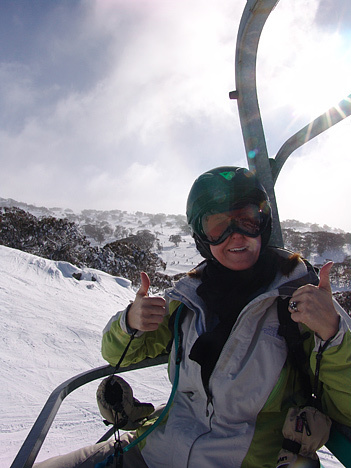 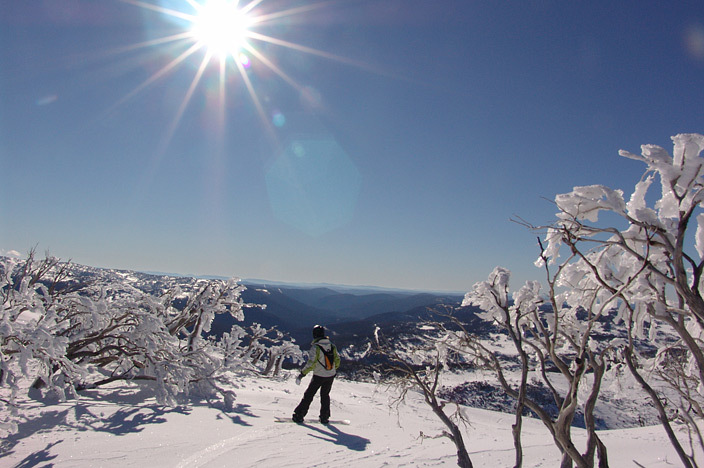 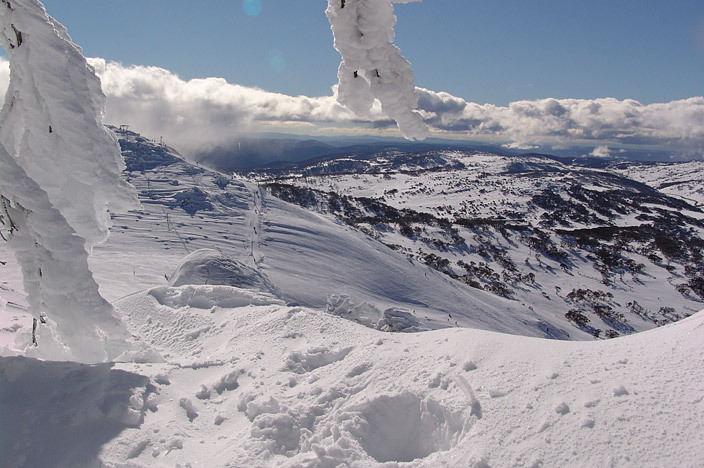 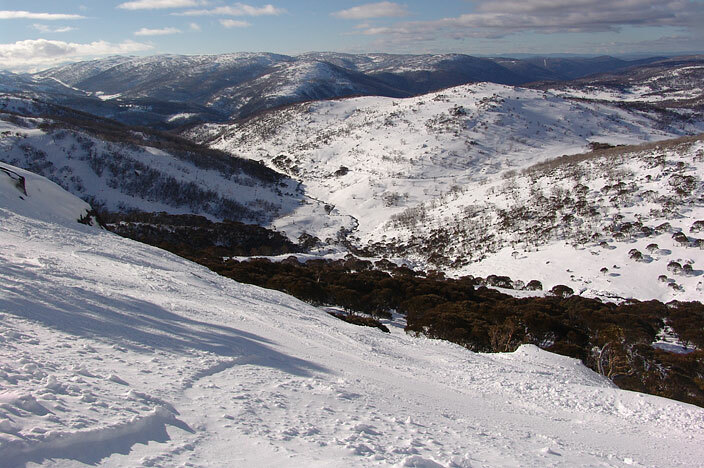 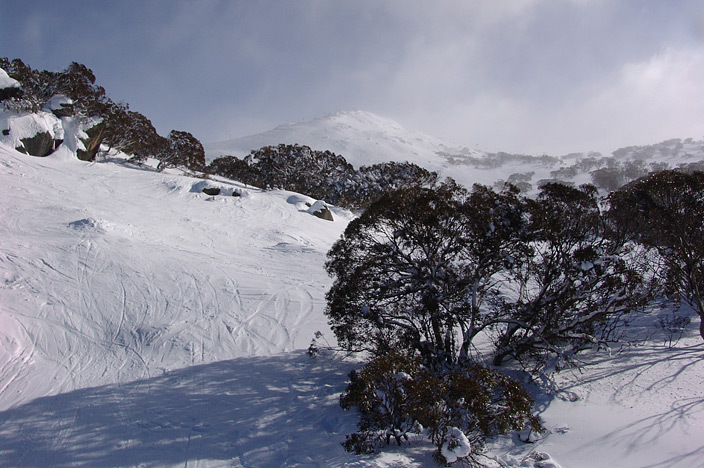 Perisher Blue is Australia's largest ski resort located in the Snowy Mountains in southern New South Wales. 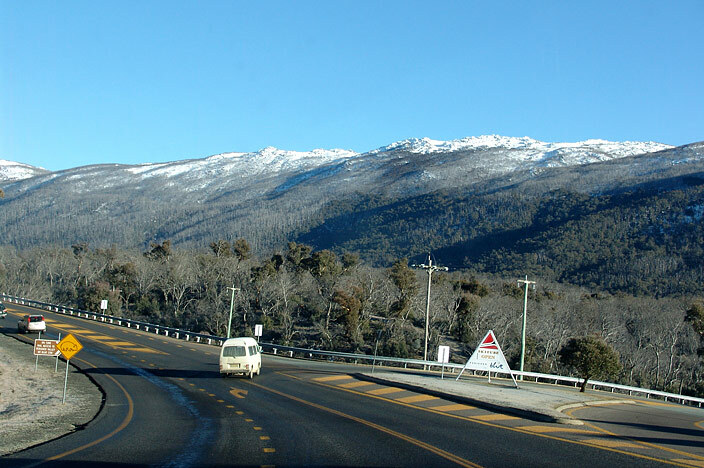 It takes about 6 hours to drive there from Sydney passing via the country's capital, Canberra. 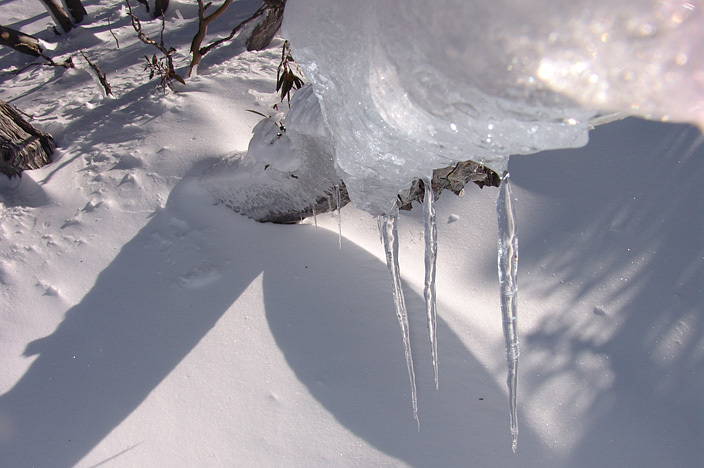 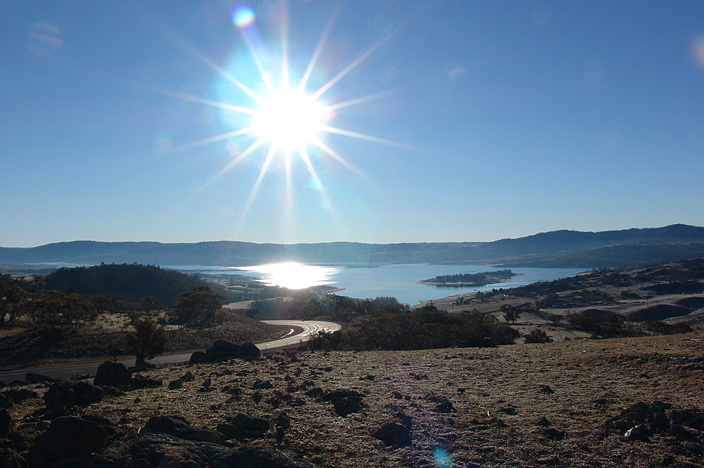 For those needing overnight accommodation, the nearby town of Jindabyne will most likely provide the best options. 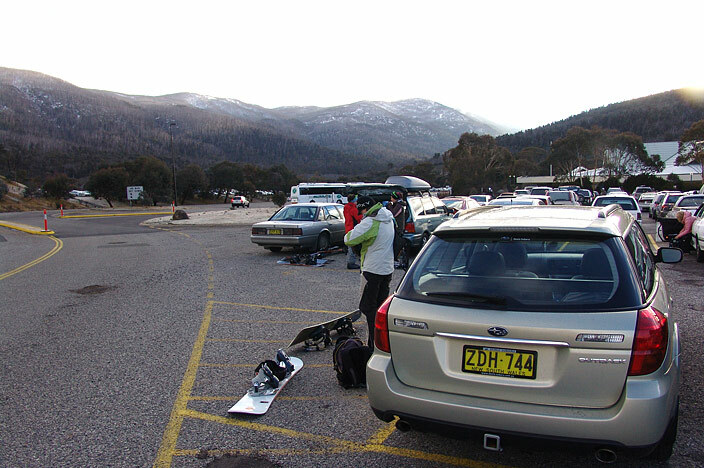 We stayed in the Station Resort a little way out of town which was OK - chalet style rooms with life centered around a large bar/restaurant lodge. 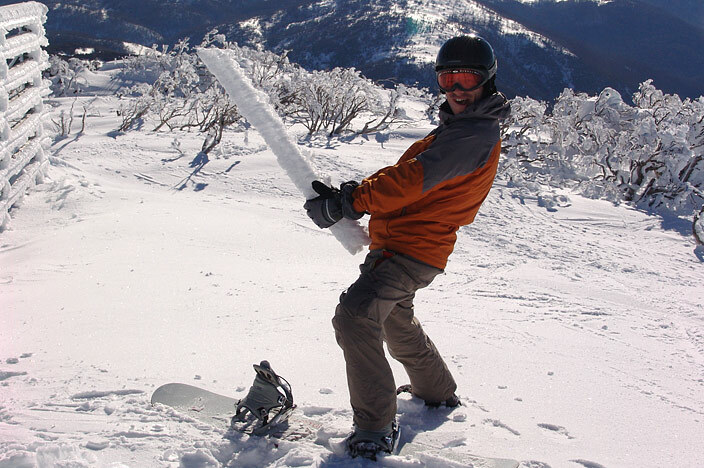 We were a bit sceptical on arrival ... 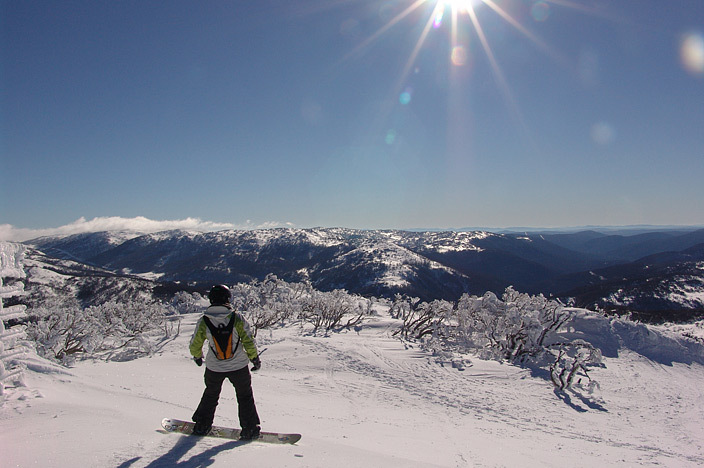 I mean snowboarding in Australia does not conjure up thoughts of massive powder drifts and endless pistes, but we were very impressed. 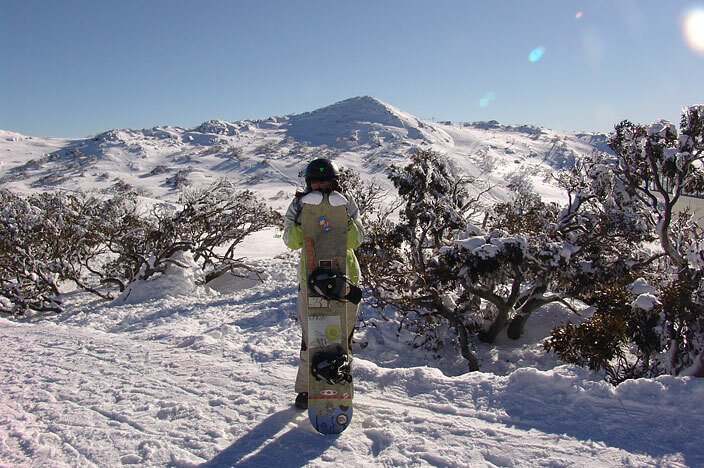 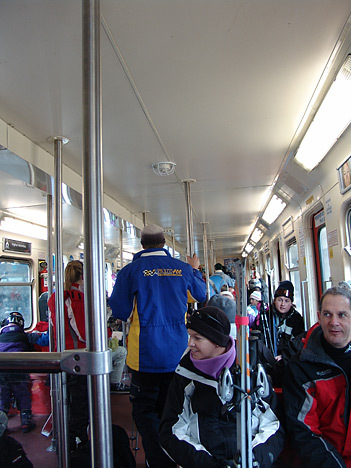 The resort is large, spread over five different peaks, with much variety on offer. 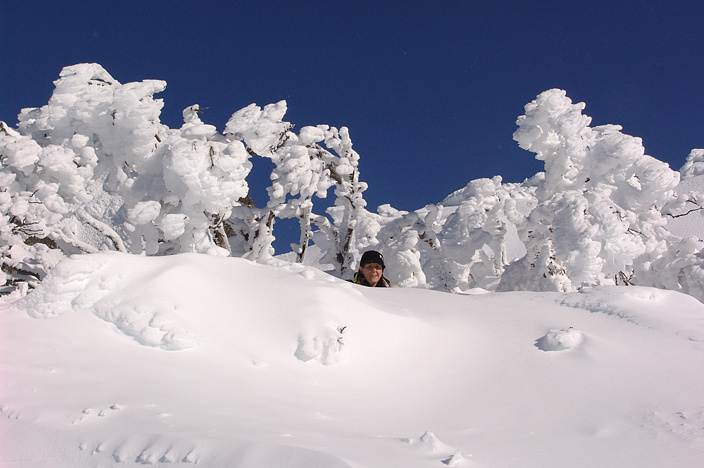 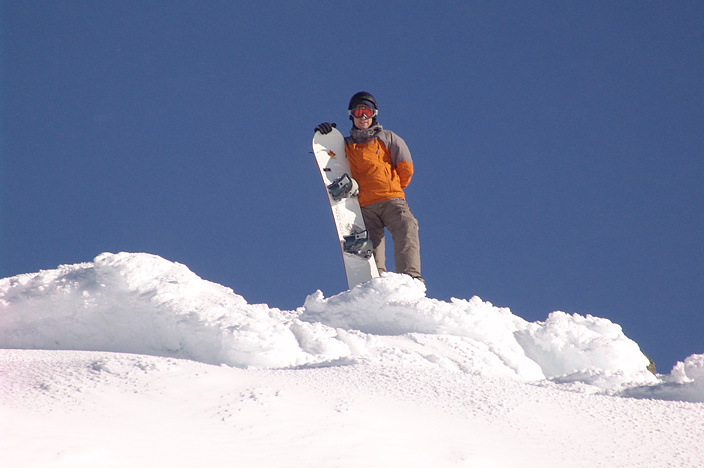 From a snowboarder's perspective, it is great fun with varied terrain, trees spread throughout and lots of easy walks to untouched back-country powder. 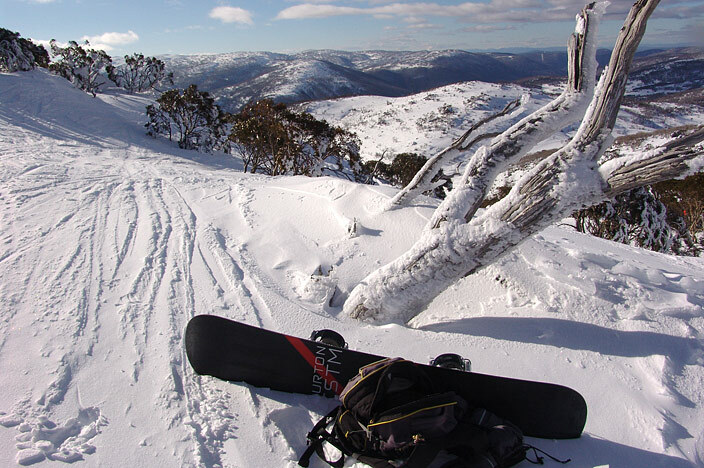 Perisher makes for a worthy winter visit.